Creative Edge Master Shop, the pioneer and world leader in the application of waterjet technology to architectural fabrication, has announced a new partnership with International Classic Stones, becoming stocking distributor for the rare Sodalite Blue Marble of Bolivia. This stone will be on display at Creative Edge's Coverings 2016 Booth #8418. "We were always looking for a source for the purest, most beautiful blue sodalite in large slabs," says Jim Belilove, CEO of Creative Edge Master Shop. "We couldn't source it in large enough slabs except from overseas through Alibaba, which means we would have to ship an entire container." As a result, Belilove has agreed to become the sole stocking distributor of the rare Blue Sodalite Marble of Bolivia, making it available to anyone in America who wants the best quality sodalite stone in small or large quantities. 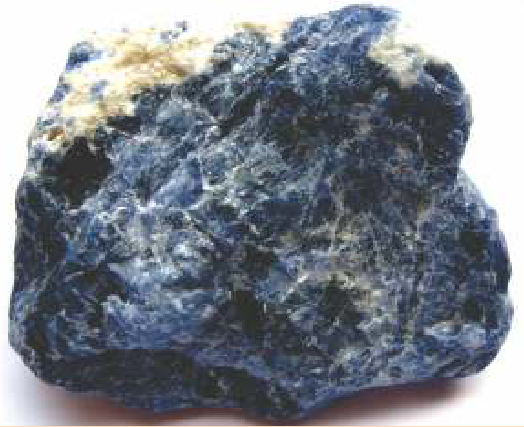 Of the handful of blue sodalite mines in the world, the Bolivian mine, which opened in 1985, is unique because its stone is a pure blue and white. Competing Brazilian sodalite, for instance, comes with black dots covering the blue, and the South African sodalite is green. The Sodalite Blue Marble of Bolivia is very uniform and is the only existing sodalite mine that produces clear, blue sodalite in large enough slabs for use in decorative flooring and other high-end architectural finishes. The Bolivian mine produces four grades of blue sodalite: Nuvalato, which is 20-30 percent blue; Sapo, which is 60 percent blue, and the highly coveted Royal, which is 80-90 percent blue. A small part of the mountain comes in horizontal stripes of blue and white, and is called Tiger. When it goes to over 80 percent, the blue becomes a deep and dark semi-precious stone. New products, processes and solutions are at the heart of every trade fair. Needless to say, this is especially true of bauma, the largest trade fair in the world. The coming edition of the world's leading trade fair for construction machinery, building material machines, mining machines, construction vehicles and construction equipment-the 31st-will take place from April 11 to 17, 2016 in Munich. Keeping historical accuracy in mind, UP tourism has decided to use red sandstone instead of granite cobble stone to replace the existing bituminous road leading to the Taj Mahal. Archaeological Survey of India (ASI) and National Monument Authority (NMA) have given permission to UP Tourism to lay the red sandstone on the roads within a 500m radius of the Taj's entrance gates. Earlier, the tourism department had approached the Supreme Court seeking its approval to convert these approach roads to 17th century monument into cobbled stone roads. On November 16, 2015, the apex court had asked all the concerned parties to submit reports on the matter. This is when ASI had objected to the use of granite and suggested red sandstone as historically that was the stone used during the Mughal era. On February 3, 2016, the Supreme Court agreed to the suggestion of the ASI and asked the state tourism department to go ahead with red sandstone. The first 200m of the radial road is prohibited area under ASI, which had already given its permission for the project. The next 200m of the regulated area is under the National Monument Authority. Regional Tourist Officer Dinesh Kumar informed TOI that NMA gave its permission a few days back and the road laying work would commence very soon. UP government's ambitious Tajganj Development Project, which aims to spruce up the surroundings of the Taj Mahal, has a deadline of October 2016 for completing the road laying plan.